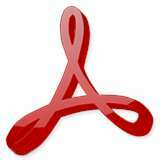 Rick Borstein from Adobe has given us 30 great tips for use with Adobe 9. Here is the link to the PDF file you can download and read. You can follow Rick on his blog at http://www.adobe.com/go/acrolaw.